Here you are again. You just deposited your pay check and it is time to pay the bills. As always, you are just barely getting by. You are juggling your bills, your due dates, and your grace periods each and every month. You have so many balls in the air, you can't keep them straight. Sooner or later, one of the balls will drop and your financial "plan" will come toppling down. In desperation, you start calling your creditors to see if there is anything they can do to help, and they offer you a Hardship Program. If you have tried in the past to enroll in a Hardship Program with one or more of your creditors, you may have been disappointed to find our that they are not eager to help out when you are current with your payments. However, if you have fallen behind on your monthly payments, your creditors will be more receptive to offering you a deal. Temporary Hardship Program - Your monthly payment is reduced to around 2.5 percent of your balance, usually for anywhere from 6 to 12 months. Your interest rate is reduced, and penalties and fees are often waived. When your temporary hardship program expires, your account will go back to the pre-plan arrangement. Long Term Hardship Program - With this type of plan, your accounts are generally closed and the interest rates are reduced. You will most likely be put on a payment plan to get the full balance paid off within 5 years. If you default on any payments while in a Long Term Hardship Program, your interest rate, payment, and fees will go back to the pre-plan arrangement. Are Credit Card Hardship Programs a Good Idea? These Hardship Programs might be just what you need to get you over your financial hump. However, never forget that the goal of the credit card industry is to make money! First, there is no guarantee that you will be able to enroll in your creditors Hardship Program. Once your lender finds out that you are struggling, they may decide to reduce your credit limit or even close your account all together. Next, enrolling in a Hardship Program will usually be noted on your credit report as "Hardship Payment Plan". This could cause problems and even increase your interest rates with your other credit card accounts. Finally, these Hardship Programs are just short term solutions to what is most likely a long term problem. If you default even once during your Hardship Program, you interest rates and payments will go up to the same or even more that before you got "help". Enrolling in a Hardship Program with your creditors should always be a last resort. 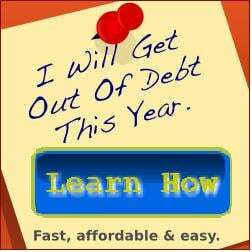 If you don’t want to go it alone, look for a Debt Relief Company, which can help you develop a debt payoff plan. Trained Debt Solutions Specialists can negotiate with lenders on your behalf to lower both your interest rate and monthly payments and even the total amount of debt that you owe.